From the 1st century to today, you could say the magnet is one component of technology that has stuck around. With that bad pun out of the way (two if you count the headline), a Hong Kong company is using the simple magnet to make the charging of our smartphones easier and faster. The MagCable is a USB cable with a magnetic end that snaps into place thanks to an adapter tip that plugs into your charging port. There is even a Lightning magnet adapter for iPhone and charging can be sped up by a button on the cable that shuts off data sync. The makers of the cable, aMagic, are trying to raise more than $76,000 on Kickstarter to begin production. For $12, a backer can get a MagCable and the adapter tip to match their smartphone. The MagCable could be useful in a car, where the driver can just snake the cable end near the port and feel for the snap in order to avoid the distraction of a more involved plug-in. 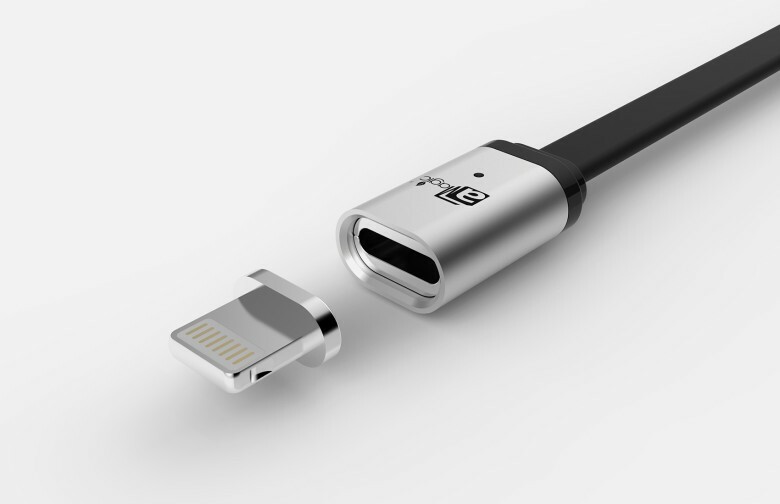 The cord is one meter long, includes a light to indicate charge status and works with Android micro USB and iPhone Lightning connections. The company has even make available a Lightning Magnet Adapter for regular iPhone cables. It also works on tablets, like the iPod, as well as Bluetooth speakers, wireless gaming controls and MP3 players. 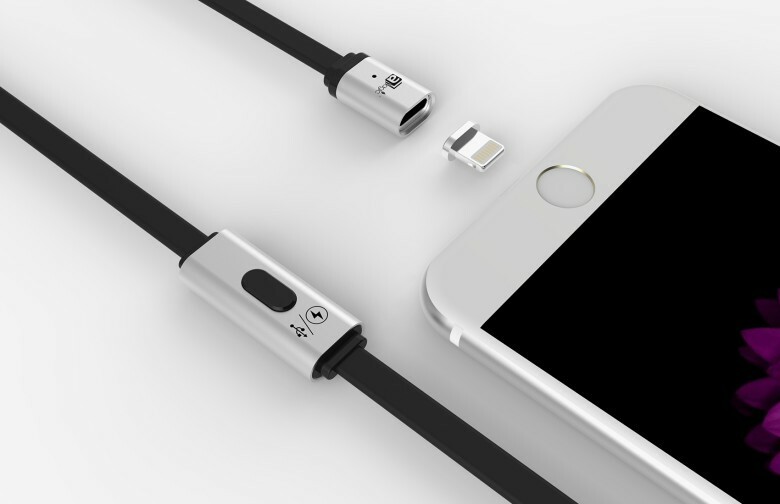 If funding goals are met, aMagic, which makes other accessories like speakers, an action camera and power banks, can begin shipping the MagCable by November. The company is also hoping to get Apple MFi certification.